Kokane (born Jerry Long) is a rapper from Pomona, California and best known for working on the G-funk album Funk Upon A Rhyme and his backup work with Snoop Dogg. He is the son of Motown composer Jerry Long and started his career at Eazy-E's Ruthless Records, co-writing songs for N.W.A and Above the Law. 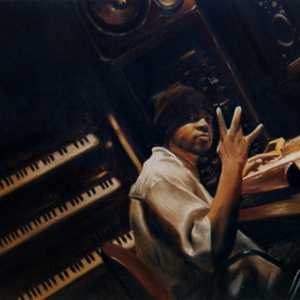 He released his first solo album under the name Who Am I?, probably because "Kokane" was deemed to be offensive, also known for fueding with Dr.
Dre and Kurupt, and was a member of the 357 Crip (Westside Mafia) set.